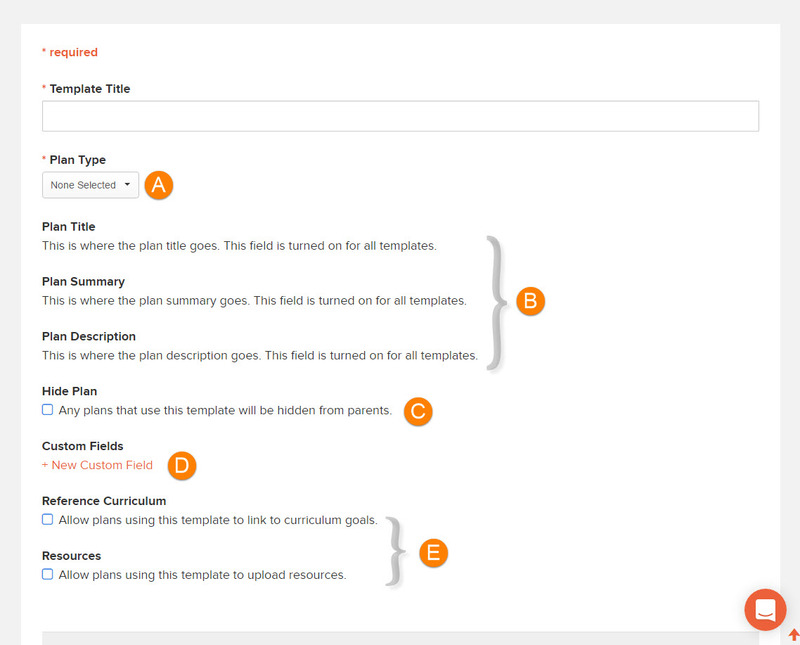 Re-usable plan templates can be created using Educa Plan Templates or by copying existing templates and editing. This article will show you how to create templates that will appear one the Active Plans page and will be available for teachers to use. There are two basic template types - table format and horizontal. Educa table plans have (table) in the title. 1/ Click Templates, then Create Template, then you can build a plan from the start. 2/ Copy one of the Active Plans as your starting point. When editing or creating a Plan Template, there are quite a few sections and options available. Individual: Any plan that is using an Individual template needs to be linked to an individual child. B) The sections outlined here are standard sections that all plans will contain. If you are not quite sure how this works, try creating a plan and you'll understand. C) The Hide Plan setting is an optional setting. If you tick this box then it means that any and all plans using this template will be hidden from parents at all times. This means that only the teaching staff can see plans set as Hide Plan. D) This is where to create your custom fields. Click + New Custom Field to further customise your plan. This will open up a popup where you can set up the custom field with a heading or question. You can add as many custom fields as you need. 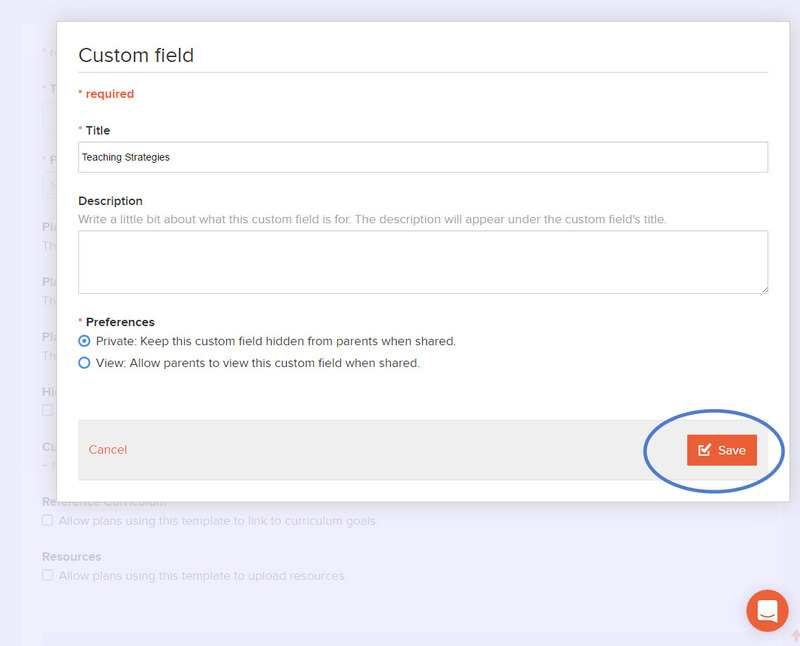 Click Save to add the new custom field to your template.